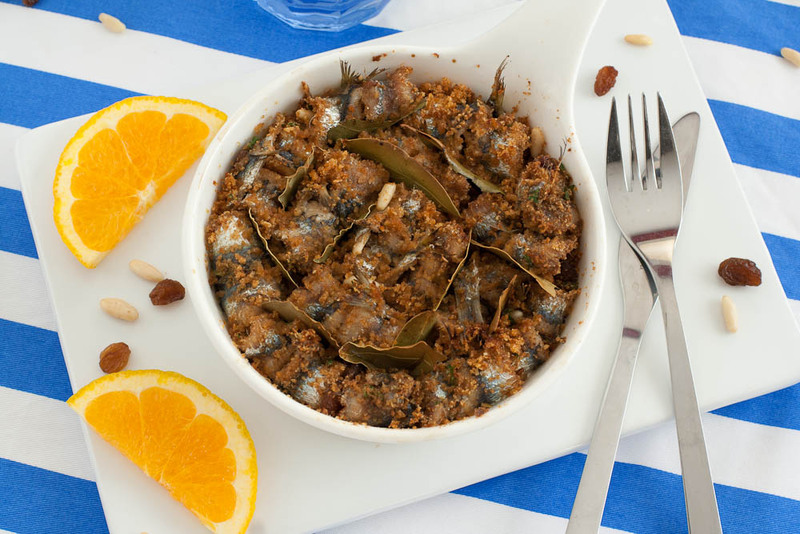 From Peter Salerno’s Kitchen: Sarde a Beccafico (Sardine Beccafico) – Design Your Lifestyle. Today’s recipe from Peter Salerno’s kitchen is a classic Italian favorite that emanates from the traditional cuisine of Sicily – Sarde a Beccafico! For those of you who aren’t familiar, “beccafico” is an Italian term referring to small songbirds that were traditionally prepared as meals. So how did “beccafico” become associated with fish? With the sea surrounding Sicily, many staple Italian dishes and ways of preparing food were altered to suit a more “seafaring” diet. This mean that many meat dishes featuring game birds on the mainland were adjusted for fish in Sicily. This is the case with Sarde a Beccafico – the main ingredient may be fish instead of fowl, but much of the classic preparation remains the same. The word “beccafico” is a combination of the Latin for “bird” and “fig”, so it should come as no surprise that traditional beccafico dishes involve the meat being fed and/or stuffed with fruits and nuts. Many Sarde a Beccafico preparations call for ingredients such as raisins, pine nuts, and a mix of sweet and sour elements (i.e. lemon juice and sugar). One of our favorite recipes for Sarde a Beccafico comes from Manu’s Menu, a fantastic recipe blog featuring dishes from around the world. Although Manu’s Menu doesn’t have a “speciality” per se, we were very impressed with their suggestions for this classic Sicilian dish. So from Peter Salerno’s kitchen (through Manu’s Menu) to yours, enjoy this recipe for Sarde a Beccafico! Roast the breadcrumbs by putting them in a frying pan and cooking them on a medium fire while constantly stirring with a wooden spoon. They have to become golden brown. Do not burn them or they will become bitter. Mix all the filling ingredients together and keep aside. Put a tsp of filling on each sardine and roll it like an involtino and put them in an oven proof dish, greased with olive oil. Put 1 bay leaf to separate each roll. Mix the orange or lemon juice with the sugar and pour it all over the rolls. Bake in a pre-heated oven at 180°C – 355°F for 10 or 15 minutes. Be sure to visit Manu’s Menu for more recipes – and to Manuela, our thanks for the great recipe! For more about Peter Salerno and his award-winning design firm, visit Peter Salerno Inc. online. ← Peter Salerno Inc. Is Going to KBIS: Will You Attend?